The Qur’an makes rich references to light, tying it to revelation, and light consequently permeates the culture and visual arts of the Islamic lands. 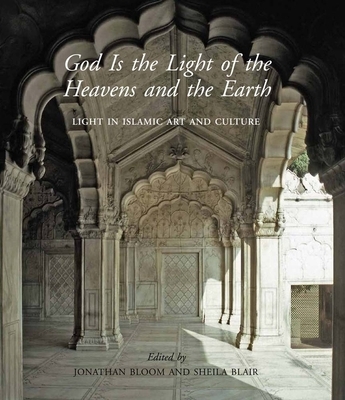 God Is the Light of the Heavens and the Earth explores the integral role of light in Islamic civilization across a wide range of media, from the Qur’an and literature to buildings, paintings, performances, photography, and other works produced over the past 14 centuries. A team of international experts conveys current scholarship on Islamic art in a manner that is engaging and accessible to the general reader. The objects discussed include some of the first identifiable works of Islamic art—modest oil lamps inscribed in Arabic, which developed into elaborately decorated metal and glass lamps and chandeliers. Later, photography, which creates images with light, was readily adopted in Islamic lands, and it continues to provide inspiration for contemporary artists. Generously illustrated with specially commissioned, sumptuous color photographs, this book shows the potential of light to reveal color, form, and meaning. Jonathan Bloom and Sheila Blair share the Hamad bin Khalifa Endowed Chair of Islamic Art at Virginia Commonwealth University and the Norma Jean Calderwood University Professorship in Islamic and Asian Art at Boston College.